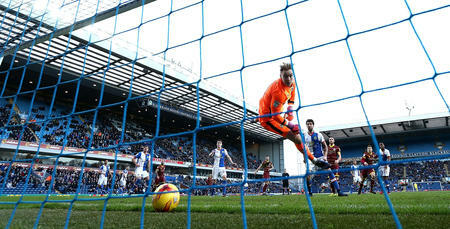 QPR’s decent run of form came to an end with a 2-1 defeat at the hands of Blackburn Rovers in W12 on Friday afternoon. A first-half penalty from Danny Graham and a Bradley Dack goal just after half-time condemned Rangers to a loss in a match where they never really got going. Matt Smith pulled a late one back in injury time but Tony Mowbray’s side held on for the three points. 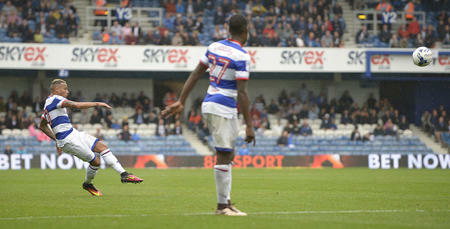 The defeat leaves Rangers in 17th place with three games of the season remaining and just one at Loftus Road. The R’s were forced into two changes for this Good Friday clash with Angel Rangel and Toni Leistner both missing out through injury and illness respectively. That meant QPR lined up with Joe Lumley in goal and a makeshift defence of Pawel Wszolek and Ryan Manning in the full-back positions with Darnell Furlong paired alongside Joel Lynch at centre half. In midfield it was a trio of Josh Scowen, Jordan Cousins and captain for the day Massimo Luongo. Up front John Eustace continued with Tomer Hemed after his two goals against Swansea with the Brighton loanee flanked by by Bright Osayi-Samuel and Luke Freeman. Youngsters Chay Tilt and Lewis Walker were named on the bench. Our visitors make one change in goal with Jayson Leutwiller replacing David Raya. 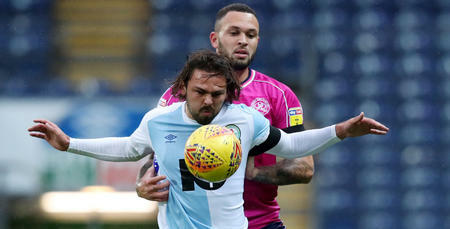 The first real chance of the game fell to Mowbray’s side after eight minutes with Adam Armstrong going on a strong run down the right-hand-side and crossing for the onrushing Dack who diverted his shot just wide. The Lancashire outfit began the match strongly and again went close on the 14-minute mark when patient build-up play play saw Corry Evans have a strike from the edge of the box that Lumley pushed away. And Rovers really should have taken the lead five minutes later when a set-piece from Joe Rothwell found the unmarked Darragh Lenihan but he headed just wide of the far post. However, moments later Tony Mowbray’s side deservedly went ahead courtesy of a Danny Graham penalty. Josh Scowen brought Lewis Travis down in the box and Rovers’ top scorer converted from 12 yards despite Joe Lumley getting a hand to it. Rangers almost responded in quick fashion with Bright Osayi-Samuel tricking his way into the box and firing just wide of the far post. In what was becoming a fairly open game, Blackburn should have doubled their lead when Rothwell elegantly switched play to Armstrong whose floated cross met the head of Graham and his effort went just wide. The R’s were struggling to hit the heights of last week with Blackburn comfortably spraying the ball around and finding space in the wings. Scowen had a rare shot on target in the 35th minute but it was only really half chances for QPR to feed off. Towards the end of the half, Rangers began to find their rhythm with Osayi-Samuel in particular causing Blackburn problems with his pace and dribbling. But Blackburn’s continued switch of play was causing QPR issues with Armstrong again getting down the right-hand-side but this time shooting wide of the near post. Despite QPR ending the first period well, the visitors went in with a deserved, narrow lead at half time. Rangers needed a strong response but got off to the worse possible start when Blackburn’s danger-man Armstrong once again got down the wing and crossed for Dack , who was originally denied by a fantastic Lumley save, but the ball bounced back off him and trickled into the net. There was then a long delay as Jordan Cousins was stretchered off in what looked a nasty injury and replaced by Nahki Wells, as caretaker boss Eustace opted to go 4-4-2 in an attempt to get back into the game. The game took a while to settle down again but when it did QPR were the team seeing more of the ball without looking too dangerous. The key seemed to be getting Osayi-Samuel into the game, as he had the beating of his man every time but service to him was not consistent. Both Matt Smith and Ebere Eze were brought on in place of Tomer Hemed and Pawel Wszolek to try and spark Rangers into life but it was a flat 75 minutes from Eustace’s side with Rovers again going close on a couple of counter attacks. 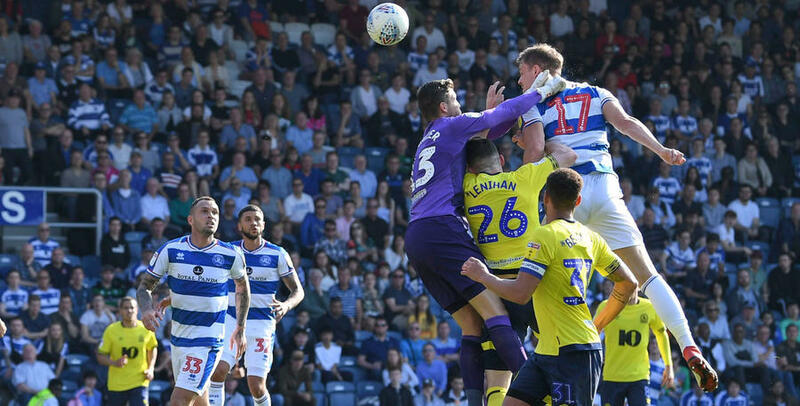 A ‘Rabona’ cross from Manning that teed up a shot for Wells brought a bit of excitement for the Loftus Road faithful but in truth the game was fizzling out. Rangers did get on the scoresheet when Smith headed home after good work from Freeman but Blackburn held on despite some late pressure.